XO piques my interest, and Sci-Fi and RTS are not even my favorite genres. Within the first couple seconds of the minute-long video, eardrums are already treated to the immersive melodies of Jim Guthrie. Toss in the captivating 2D plane, the simplistic yet crisp HD retro-styled visuals, and the vast amount of options, customization, in-depth strategization, navigation, and coordination demonstrated in the trailer, and Jumpdrive Studios has a recipe worthy of claiming first prize across the board. Releasing for PC, Mac, Linux sometime in 2016, XO is progressing nicely--Jumpdrive has recruited Jim Guthrie (Superbrothers: Sword & Sorcery EP, Indie Game: The Movie, Below) to produce the OST and is gearing to launch XO's Steam Greenlight Campaign and Kickstarter Campaign on July 20. Additionally, the Square Enix Collective, which stands behind projects voted and approved on its official site, will be supporting XO's Kickstarter (Square Enix Collective officially approved of XO back in April). "We've received a tremendous amount of support from the indie community so far. I think we initially struck a chord with the game's visual style, and once we started diving into the political system, people started to get really excited." Here's a little more information on XO that is sure to turn the gears of curiosity. "You are the captain of the last remaining battleship in the fleet. A relentless, overwhelming enemy has emerged to abduct your people. There's no time to colonize planets, negotiate with alien races, or build an empire. You're outnumbered, out-gunned, and low on resources. Knowing when it's time to fight or flee will be the key to saving the human race." Talk about being under pressure. 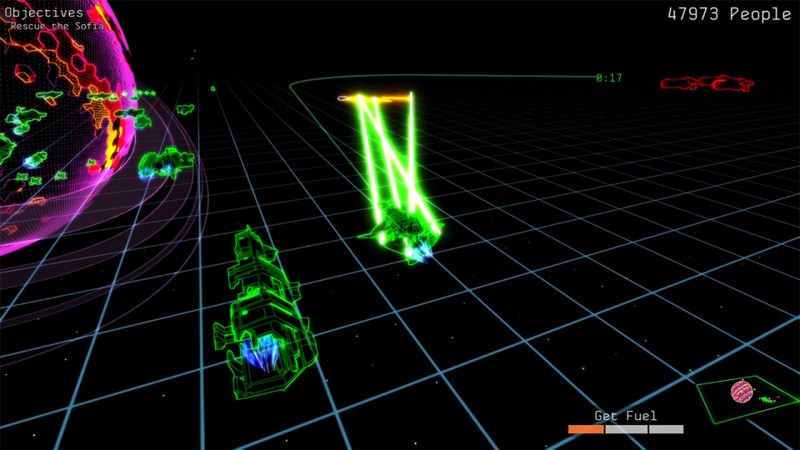 This sci-fi RTS is inspired by the likes of Battlestar Galactica, the Lost Fleet series, and FTL. As evidence of the inspiration, strategy and management will be essential in turning the tides of battle, minds, and hearts. 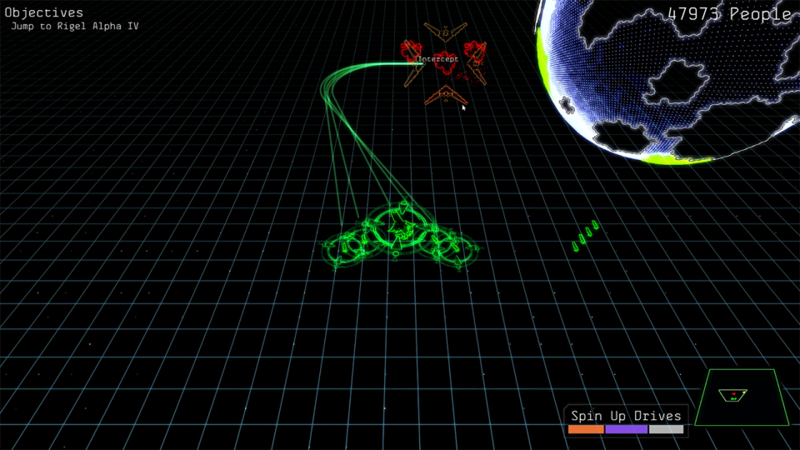 In regards to gameplay, the single-player RTS is set on a 2D plane, complete with Newtonian physics and real-time mechanics, but during real-time, players are able pause and issue commands, a familiar aspect found in many RTS titles. The system bears a cloak of rogue-like elements, including events, weapons, start systems, and personalities, that are procedurally generated. Furthermore, players can experience, witness, approach, or avoid (sometimes with consequence) a large range of events. For instance, the battleship may encounter distressed ships, resources that ache for collection, desperate refugees calling for help, space pirates attempting to loot, lingering shipyards and stations, dangerous enemy traps, and waves of enemies capable of annihilating the player's crew as their power grows with each passing wave. When facing such threats, sometimes the better option is to retreat rather than throw away lives. Pew, pew! Blindingly pretty lasers! Speaking of lives, lives of fellow crew members are precious and reliant on the captain's decisions. The captain has the ability to either drive the crew to mutiny and sabotage or inspire loyalty and sacrifice. Alternatively, the captain also wields the godlike power of determining the lives and deaths of his/her crew. In terms of weaponry, XO offers an array of destructive forces, including the flak cannon, point defense cannons, lasers, missiles, and the defensive sandcaster, that help the captain defend his/her crew and ship from merciless destruction. Of course, there's much more to the game, but that will all be detailed in the upcoming Kickstarter. Upon the launch of the Kickstarter campaign, Jumpdrive Studios will be seeking $40,000 for the successful funding of XO, which is definitely possible thanks to the interest it has garnered. As an additional treat for backers and incentive for potential donors, those who pledge $10 or more will receive a Steam Key once XO has been Greenlit. Again, look forward to XO launching on Kickstarter and Steam Greenlight on July 20. Until then, tune into GZU over the next few days as we host an exclusive interview with Corey Warning of Jumpdrive Studios! You can appreciate their dedication, at least. Silence by the developer and publisher. Will start accepting new applications soon. Another country joins the fight. A big deal in every respect. Less "junk," at a price. Fire Emblem Heroes is Kind of the Best Fire Emblem Game? Welcome to Gamerz Unite Gaming Community! Our site is dedicated to uniting gamers around the world and giving them a place to find and post lan parties, discuss their favorite games and check out the latest gaming articles or meme. . We also offer gaming strategies, find and join clans or guilds, play free games, read video game news, apply for game web site hosting and discuss relevant game topics as well as game issues that affect all gamers. Lan parties are also a great way for gamers world wide to unite and discuss their experiences whether you play lan games or you just simply like gaming casually at home with friends. We provide the Latest Games News, Game Previews, Game Reviews, Lan Party Directory, Gaming Clan Site Hosting for Free and Online Games to play. Click on the Lan Events link above to start your search of our directory of Lan Parties & other Gaming Events. If your state or city is not listed in our menu above then tell us and we'll be sure to add it to our list.